The deadline to file taxes is Monday, April 18th, giving you a few extra days to file your returns, which is a relief. An even bigger relief is getting a nice fat refund check that lets you indulge in fulfilling plans you’ve been putting off. The question is, how best to spend that check your Uncle Sam sent you? A long-deferred dream vacation would be fantastic, or a new set of furniture would sure look great in your home. Your flooring and tile are looking a little sad however so maybe you’d like to give some attention to these too. Your refund check only goes so far, however so, which do you choose: the dream vacation or sprucing up your home? We at Modernistic have a suggestion-do both. Modernistic is ready and able to deliver a gleaming new kitchen to you by uncovering the beauty hidden within your aging tile. Years of normal use can cause even regularly cleaned tile to eventually become discolored and hang onto stubborn stains. Modernistic can eliminate that dull pallor and restore your tile to its original glistening shine. Our technicians can even apply a special sealant to your tile to help maintain that lustrous look longer, reducing the time and effort you’ll spend on future everyday cleaning upkeep. You vacuum and perhaps rent a carpet cleaning machine now and then, and that’s good. Those appliances can’t remove the deep-down dirt though and some consumer market tools and solvents could damage your carpets. The truck-mounted hot water extraction method used by Modernistic technicians goes far beyond what mere consumer tools can achieve, safely restoring your carpet’s appearance. Let us draw out the deeply embedded stains and odors that linger (and linger) to bring back the beauty of fresh-smelling, re-invigorated carpets throughout your home. Speaking of lingering odors, air ducts harbor all kinds of unpleasantness that gets blown throughout your home, creating a dingy indoor atmosphere that may nurture harmful bacteria. We can extend the spring cleaning to your home’s air filtration system for an amazingly improved indoor experience. Now that the tile is shining, the carpet looks gorgeous, and your home’s air is fresh as a daisy, it’s time to revitalize your furniture. We understand the special attention that upholstery cleaning requires. Our skilled Modernistic technicians are experienced in reviving upholstery with the utmost of care–we’ve been doing it for 40 years. Let us restore the joy of your valuable furniture. Since you’ve saved so much by deep cleaning your beautiful home rather than remodeling, you can still go enjoy that vacation you’ve longed for. And when you return from your trip, you’ll be welcomed by your restored home, at a fraction of the price (and trouble) you’d have with remodeling and purchasing new furniture. Modernistic can handle all these spring cleaning issues, plus more, including allergen relief (a popular springtime concern). 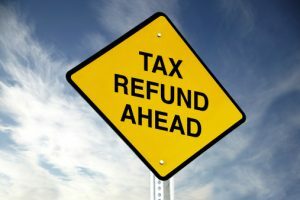 Contact us today to find out how we can help you make the most of your tax refund!